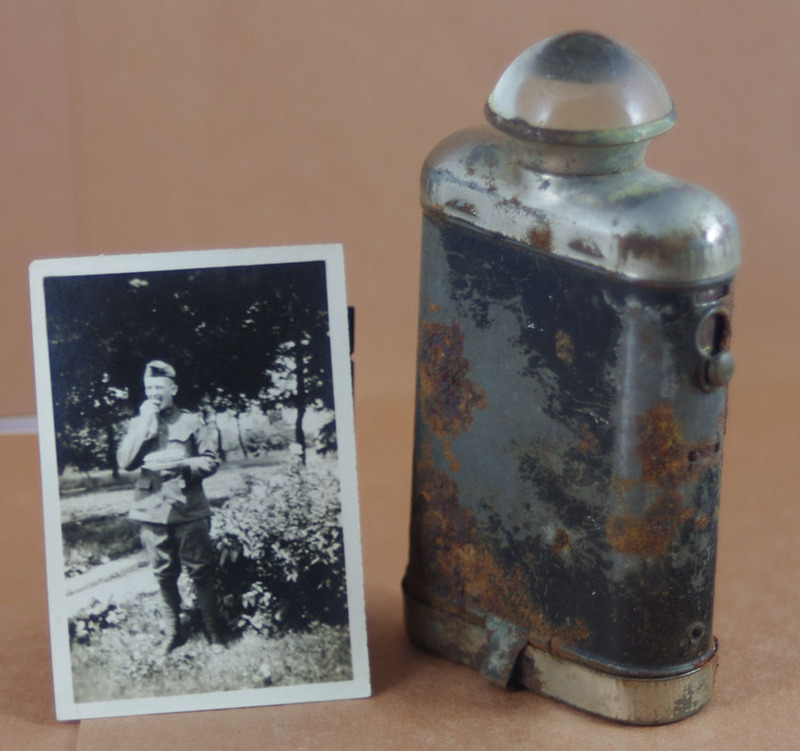 From WW1 thru the end of the 20th Century, there has been quite a change in the ability for soldiers to be able to work at night. 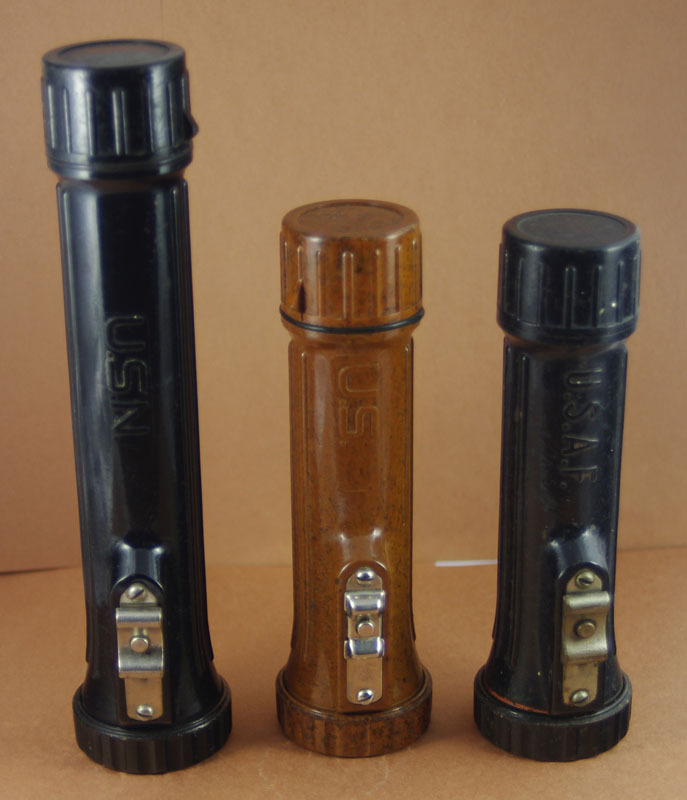 During the last major US war, candles, matches & torches were the norm. 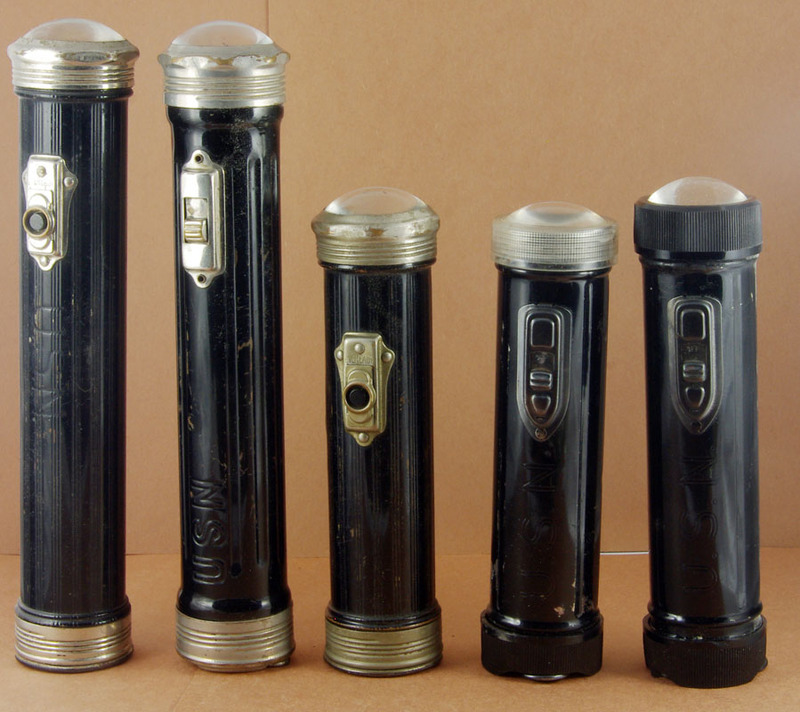 As technology advanced, flashlights became more rugged, smaller, and more specific to their intended function. 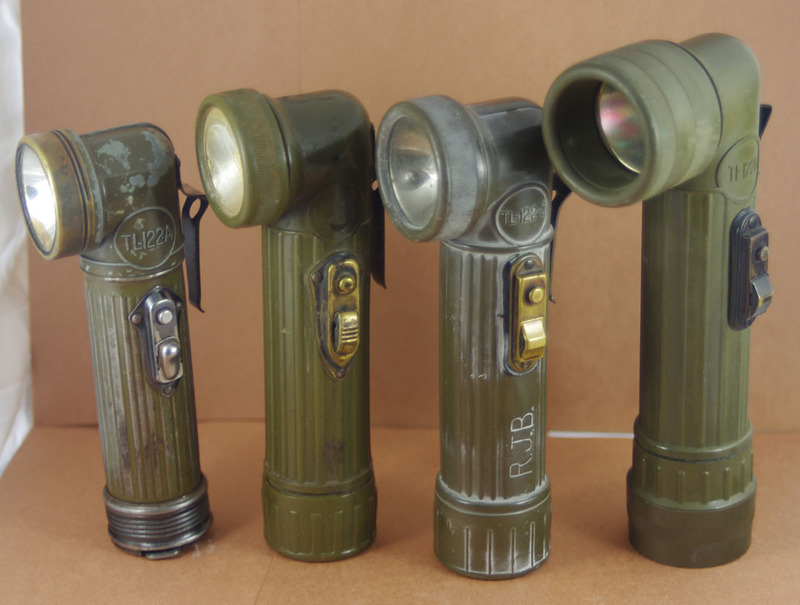 This is not meant as a complete list of all flashlights used by American soldiers, but rather a sampling of them. Flashlight used by a soldier in the 82nd Division in the AEF. 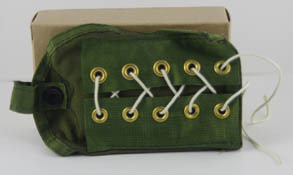 Wire handle can be used to clip on belt. 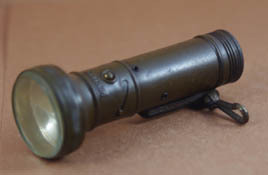 The TL-122 Series was the most common Flashlight for the GI in WW1. 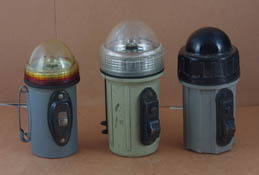 From Left to Right are the TL-122A (in use before WW2), TL-122B (issued Sept 1943), TL-122C (issued April 1944), and TL-122D (issued late 1944). 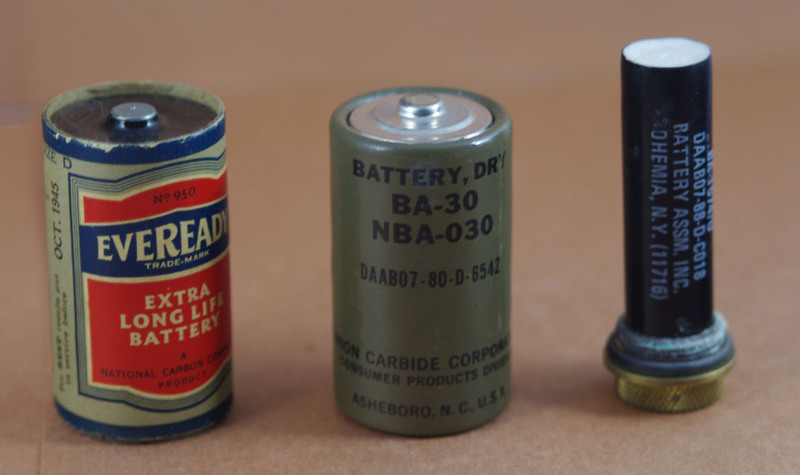 The TL-122A had a brass body & the TL-122B thru TL-122D were made from plastic. 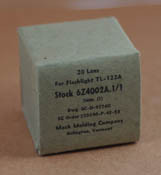 The last version, the TL-122D has provisions for colored lens storage in the base. 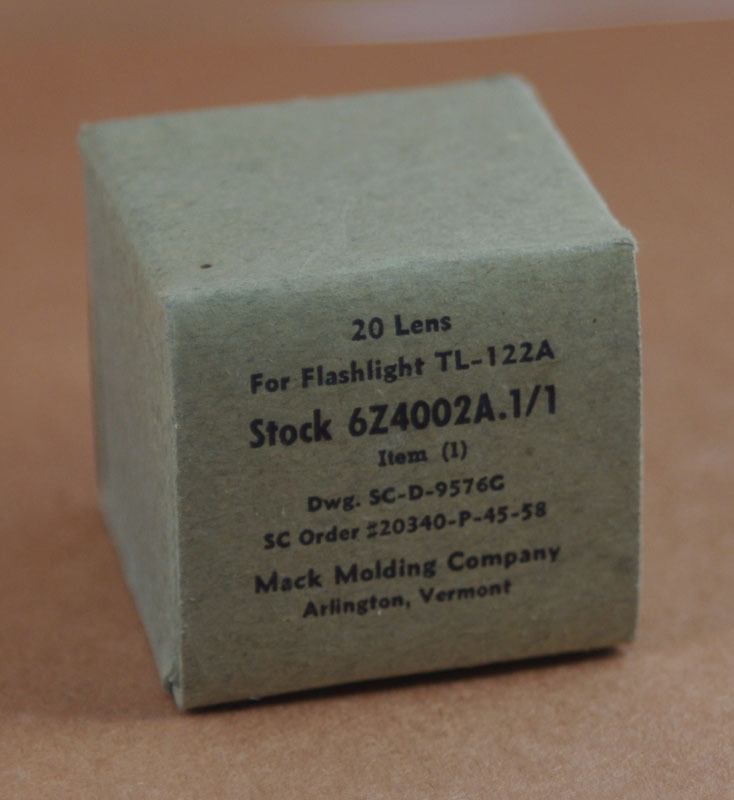 I do not know if the 2nd lens ring is original on TL-122D flashlights... the plastic matches, so it may be. 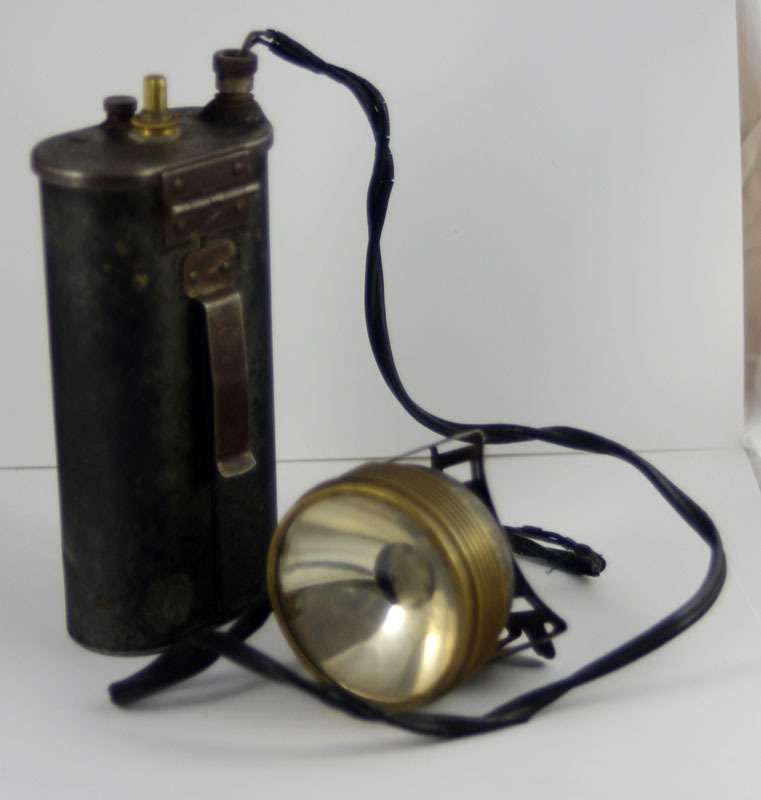 Original Upgrade kit to add spare lens storage & lens ring to earlier model flashlights. 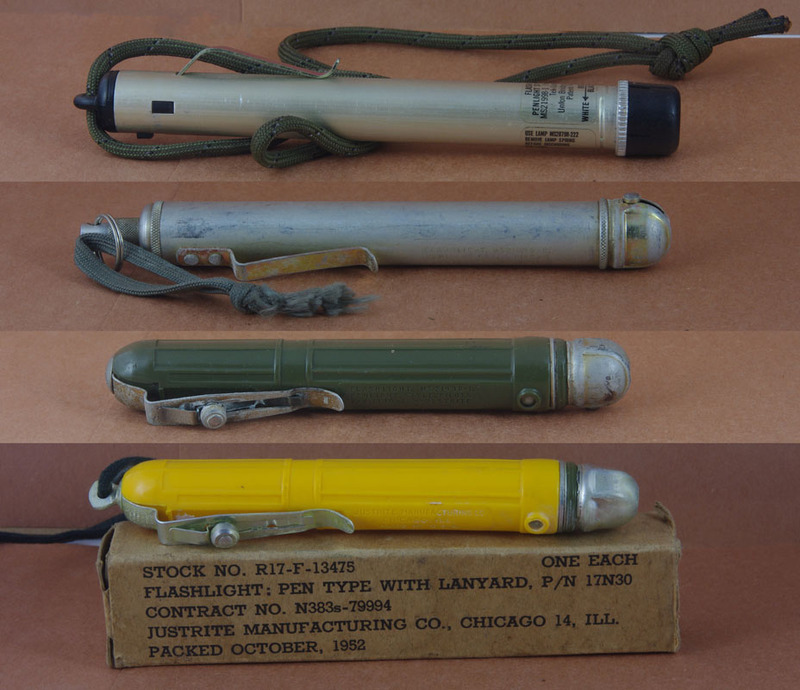 (There are no markings on the box, and the rings match both the cap/ring on my MX-991/U and TL-122D flashlights, so I can not properly ID it's age. 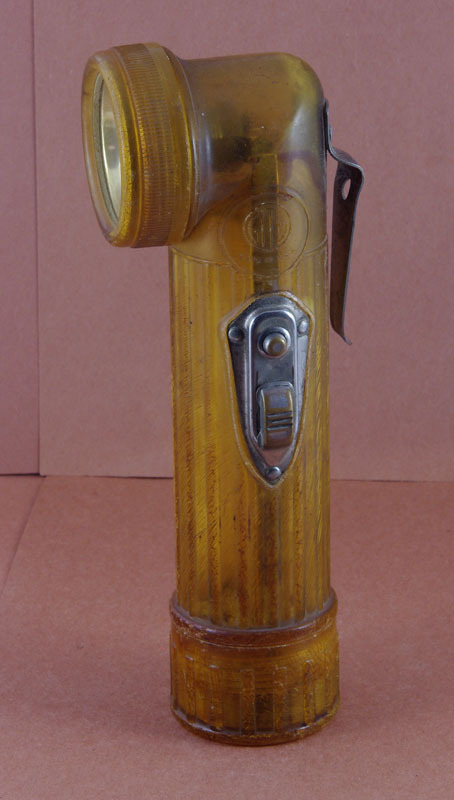 This seems to be a copy of a TL-122 series flashlight using the Ethocel (transparent plastic) seen in experimental canteens made from 1942-1944. Here's a neat field created latern. 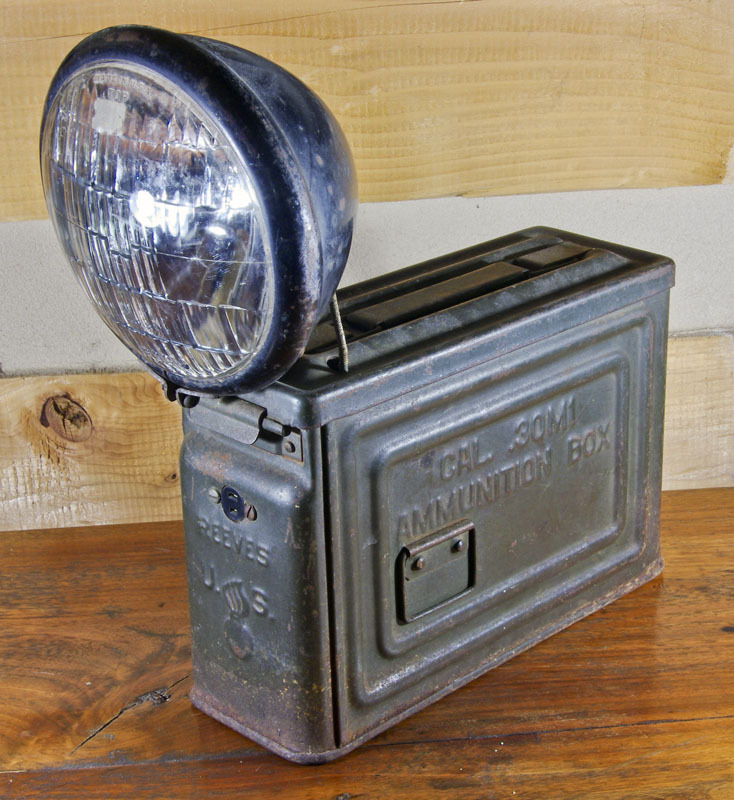 It uses a WW2 .30 caliber ammo can & a jeep headlight to make a 6 volt lantern. 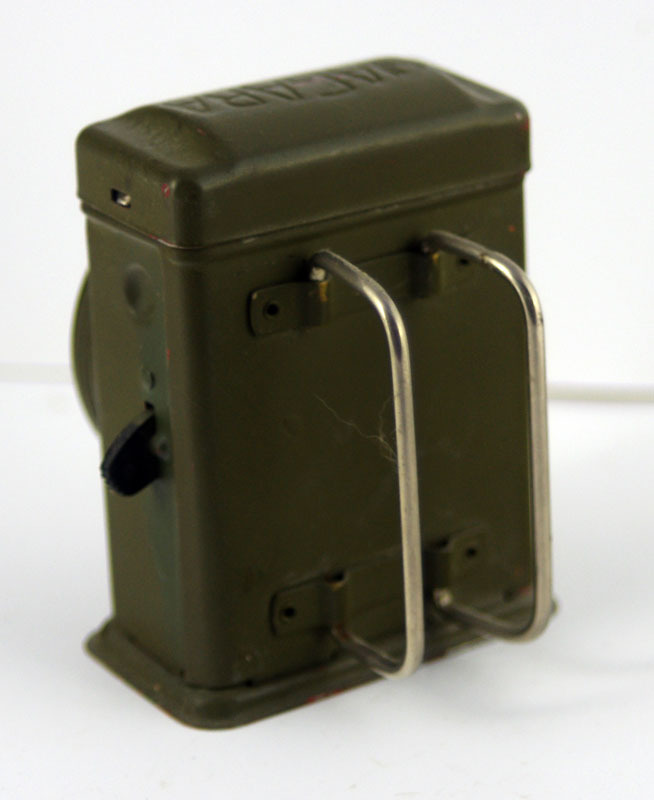 2 of the 6 volt lantern batteries fit in the ammo can. 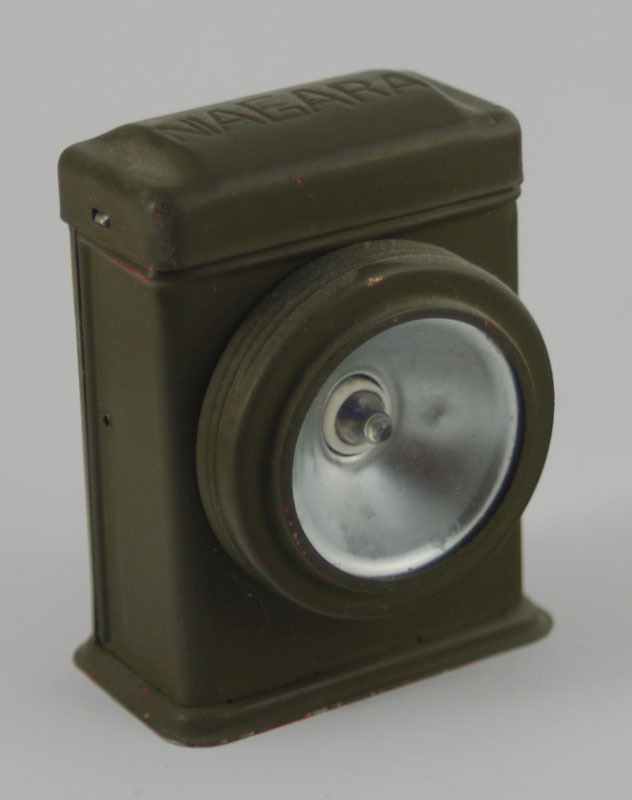 There's a toggle switch on top to turn the lamp on/off, and there's an odd plug connector on the front of the can. I do not know if this was made WW2 or post war, but I'm putting it here since the components are all WW2. 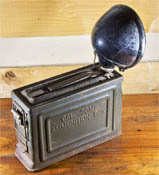 Army Air Force type C-3A, Grimes Signal Corp Model K-2 Lamp with fiberboard case (not pictured), and assorted colored lenses. 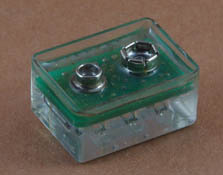 Leads are designed to clip directly to vehicle battery terminals. This is a Type A9 "Hand-Energized" survival flashlight made by DACO-LITE of Cincinatti, Ohio. 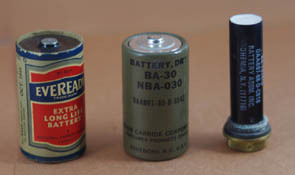 Manufacturers from left to right are: Eveready, Niagra, Eveready, Fulton, Fulton. 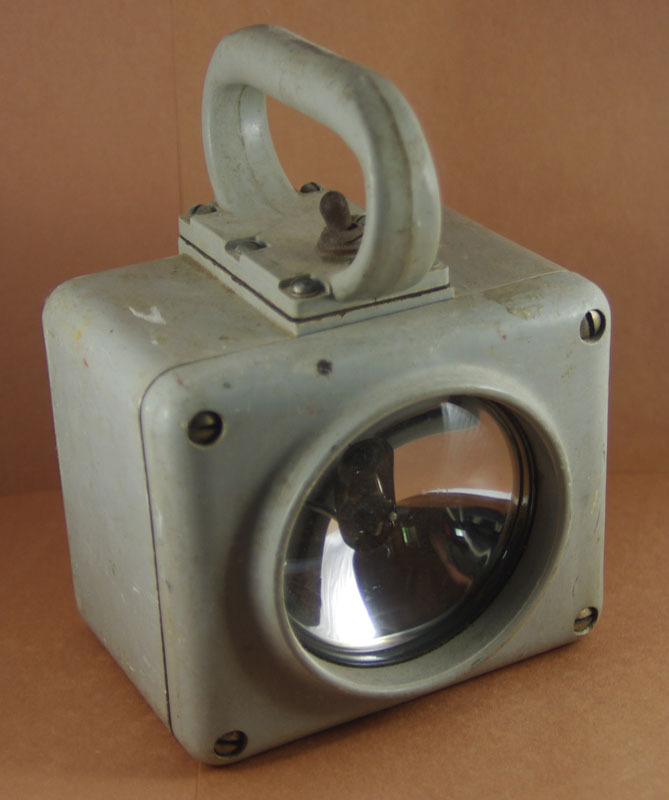 This is a unissued Navy Map light with the convex shaped lens like the five above. Bakelite flashlight with three interchangeable lenses. 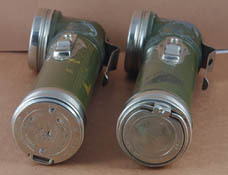 Lens is seen at bottom of photo. 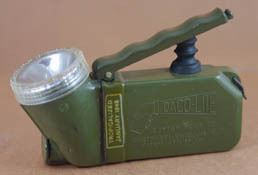 It attached to the flashlight by means of two clips on the lens & slots in the front of the flashlight. 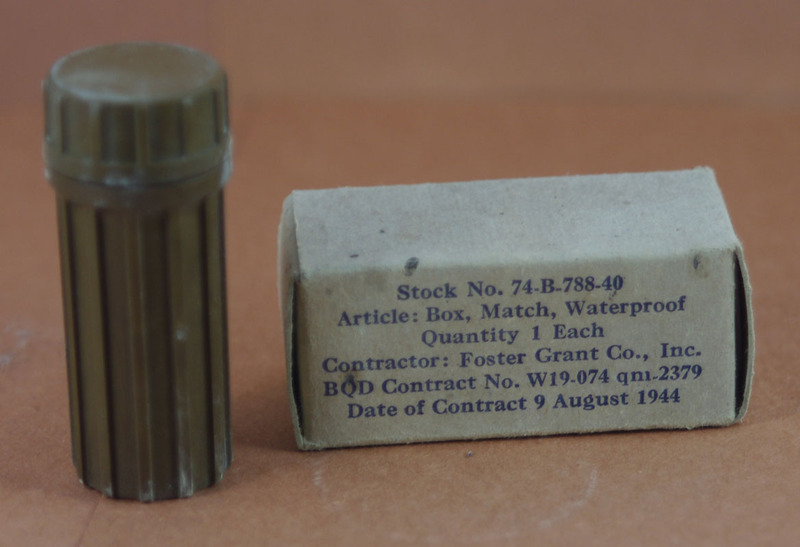 Waterpoof Match Box made by Foster Grant. 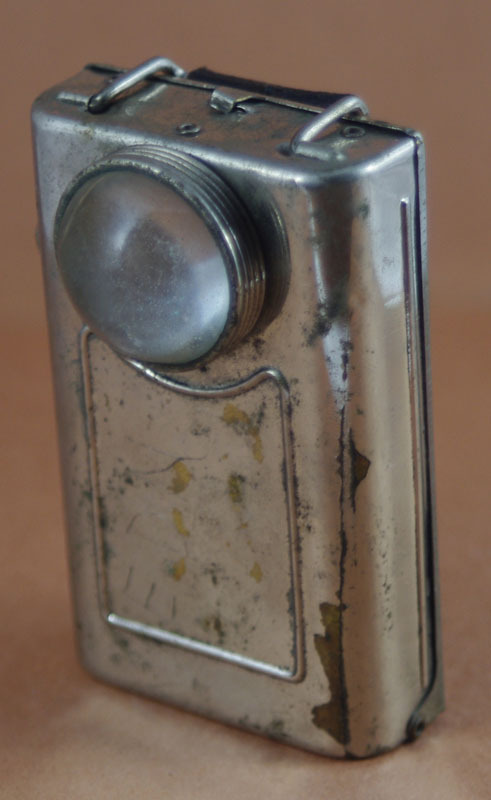 There is a match strike strip on the base of the matchsafe. 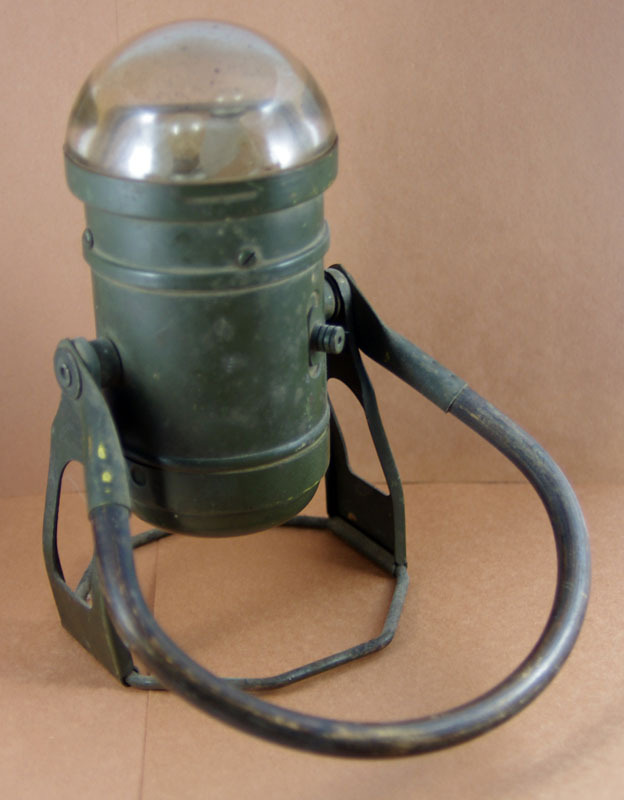 This lantern has two bulbs and a two way switch. One bulb is mounted higher so it gives off a diffused light, the other is set into a concave indent to give off a more focused beam. 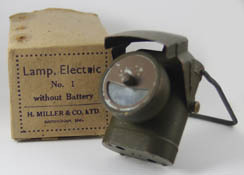 Handle, and lantern body both pivot to allow aiming the light up or down. 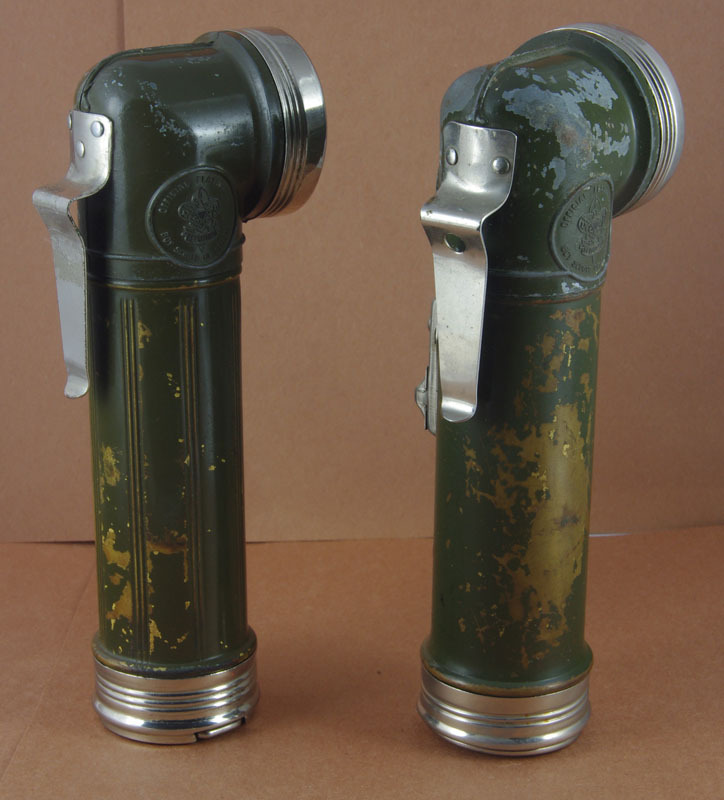 This flashight seems to have been repainted OD before I purchased it. 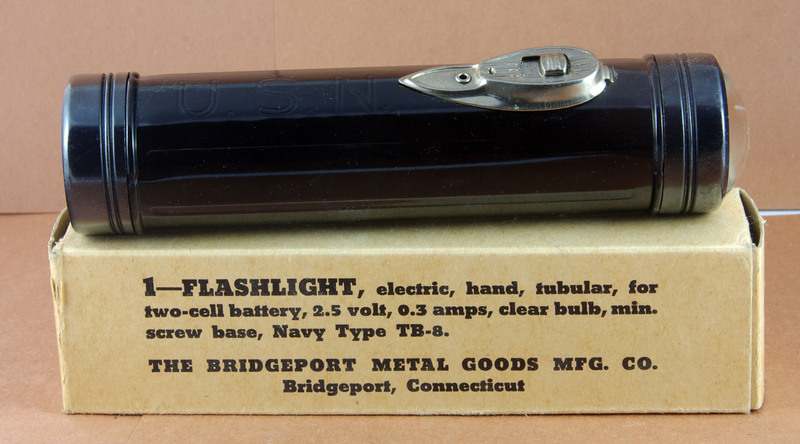 With the chrome handles, it was most probably not military, but is an example of a civilian flashlight that could have been put to use for the war effort. This lamp has a blackout shield, and a belt clip on the back. 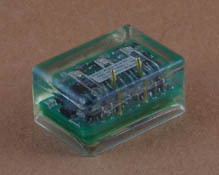 The switch is a press & turn switch located on the top of the housing. 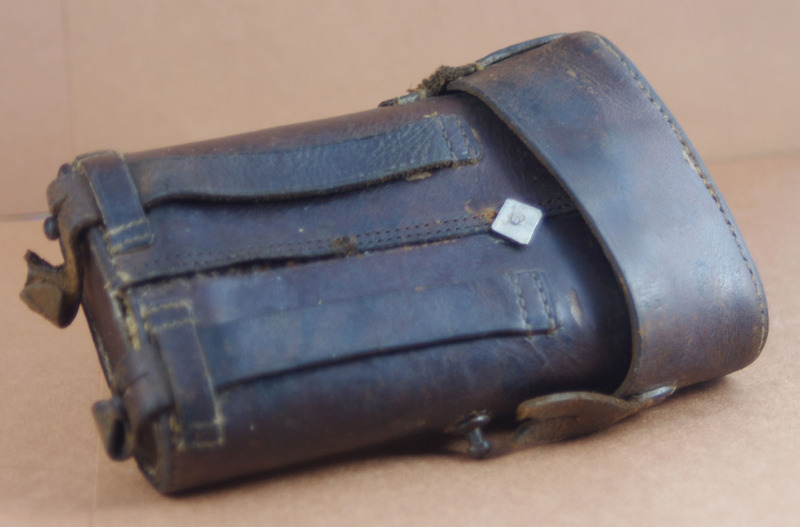 This 3 D-Cell map light is wrapped in leather. 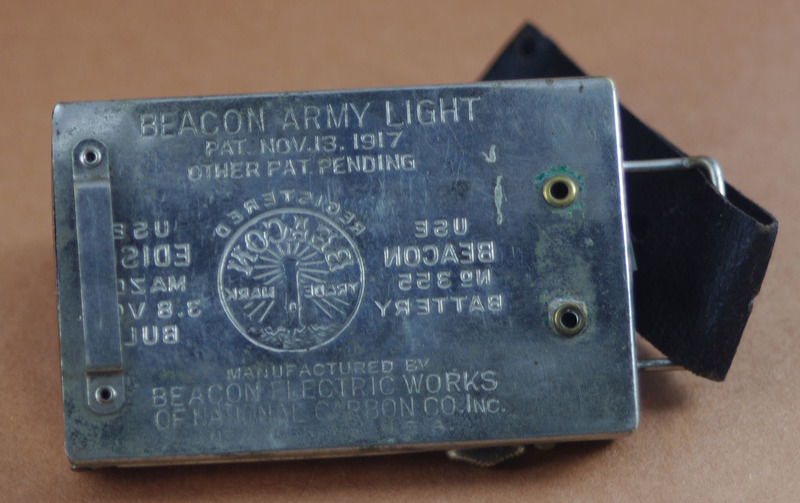 The belt clip has a broad arrow & 1941 stamped on it. 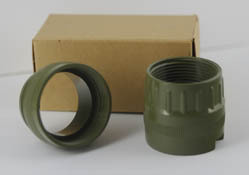 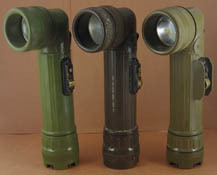 The MX-991\U is the post WW2 replacement for the TL-122 series of flashlights. 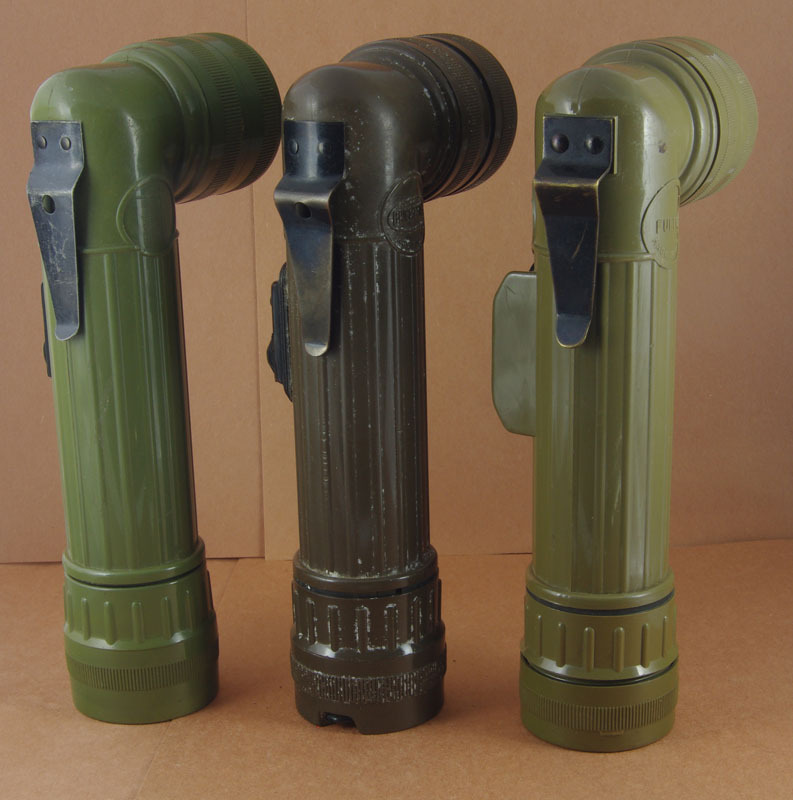 The "/U" in the name stands for "Underwater"...aka waterproofed. 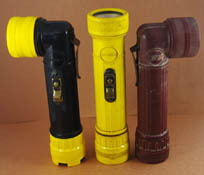 To the right is a comparison of three MX-991\U flashlights. 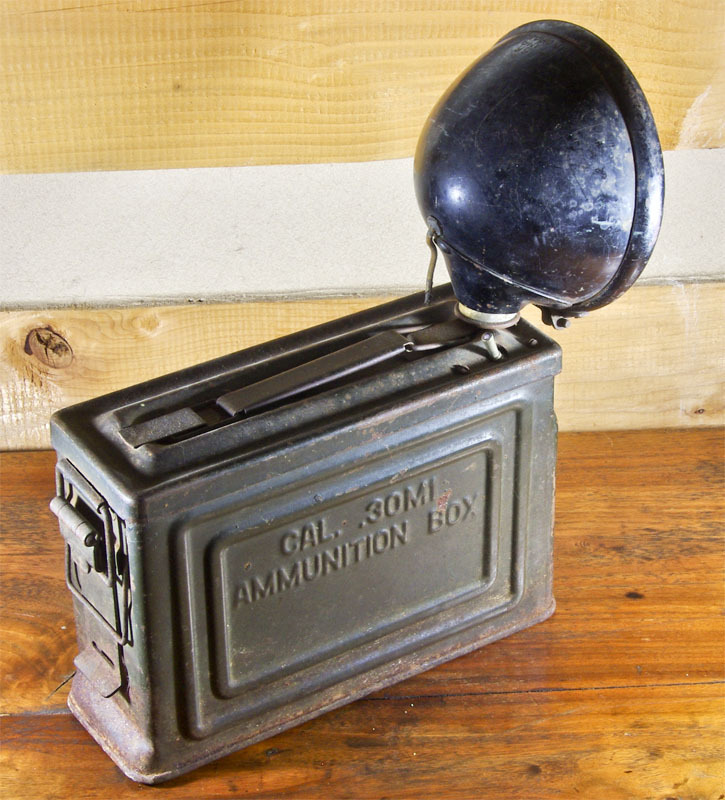 Note: this Fulton (and the early Fulton below) do not have the hole in the belt clip that the G.T. 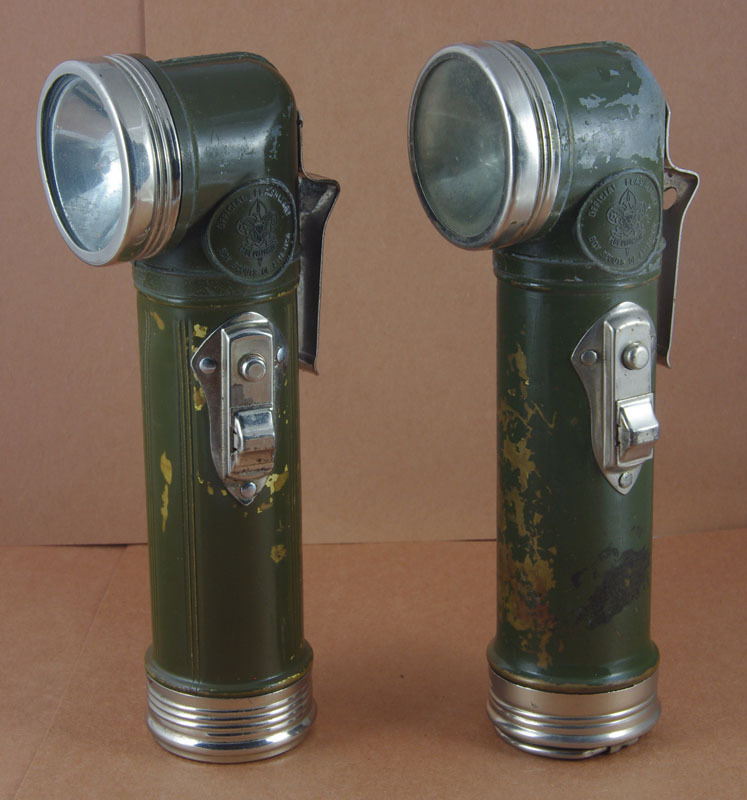 Price & Brightstar have. 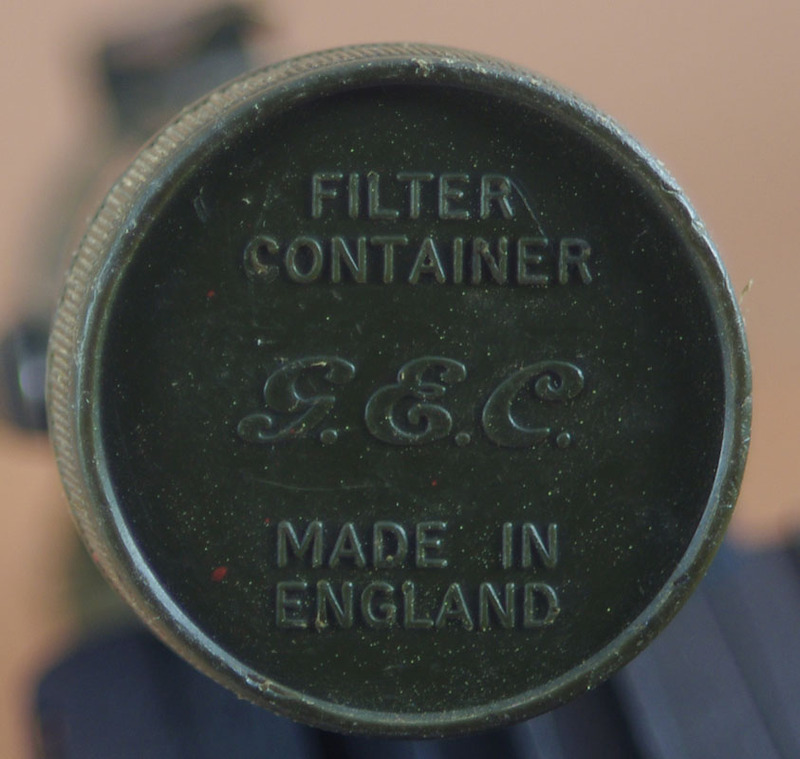 Note: G.T. 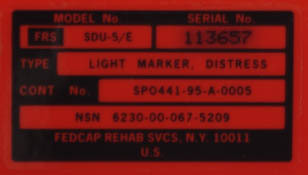 Price also stamps "U.S." above the model number. 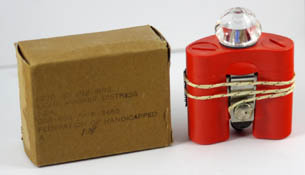 Fulton, USALite, and Brightstar do not stamp the "U.S."
MX-991\U, Fulton Brand, without switchguards, 1981 contract, produced in 1982. 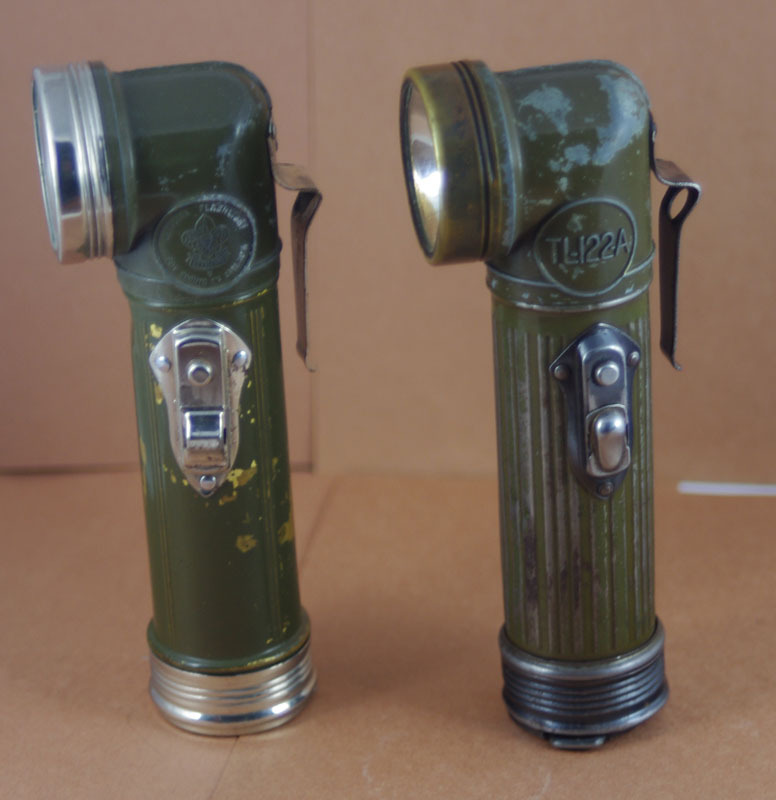 TL-124 2-AA cell flashlight compared to a standard MX-991\U. Yellow/Black Fulton MX-212/U, Yellow Fulton MX-992/U, Red USALite MX 212/U Explosion Proof Flashlights. 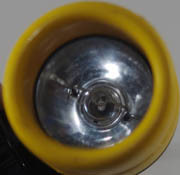 The photo of the lens shows the wire keeper for the bulb. 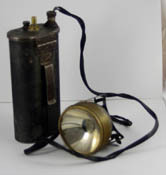 The keeper serves to stop the bulb shards from penetrating the lens & allowing a spark to ignite in explosive gas environments. 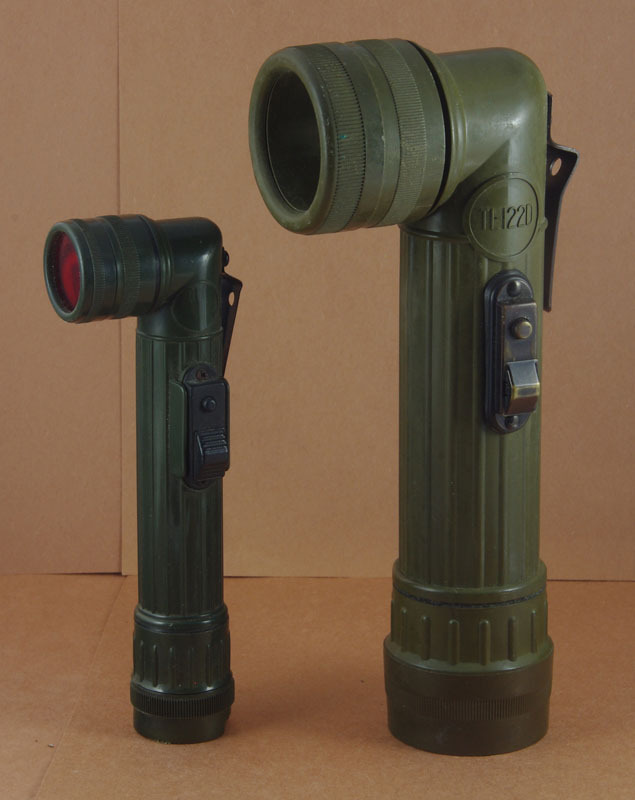 G.T. 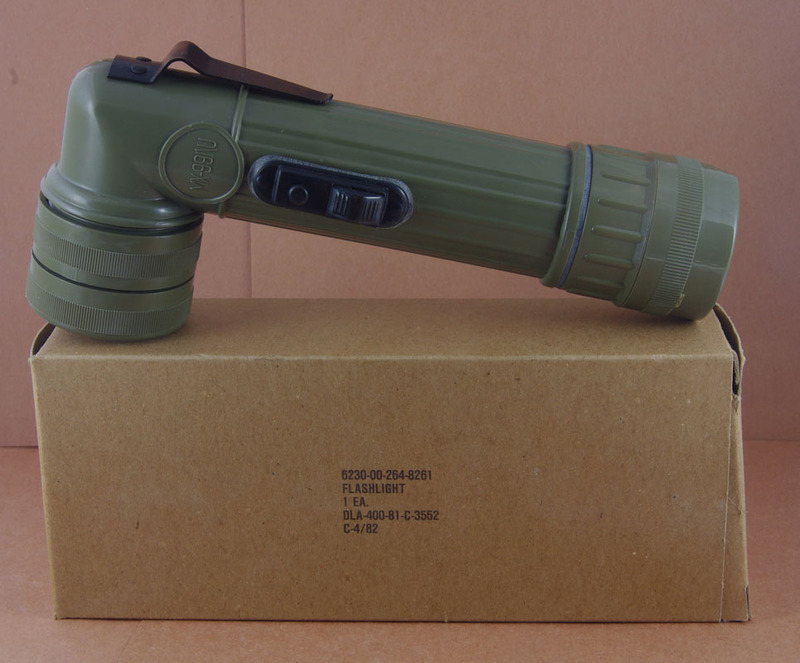 Price MX-993/U 2-cell and MX-994/U 3-cell flashlights. Navy/Army Life Jacket / Marker flashlights. All three have metal clips for attaching ot uniform/gear. 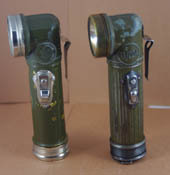 Top: Flashlight, Penlight Style, Pilots. 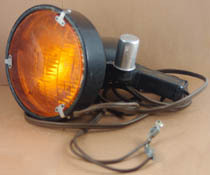 Black lens bezel rotates for Red or White light. 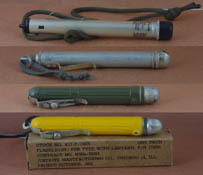 Bottom two: Green & Yellow 1952 Pen Flashlights made by Justrite Manufacturing Co.
U.S. Navy, U.S., and U.S.A.F explosion proof flashlights. 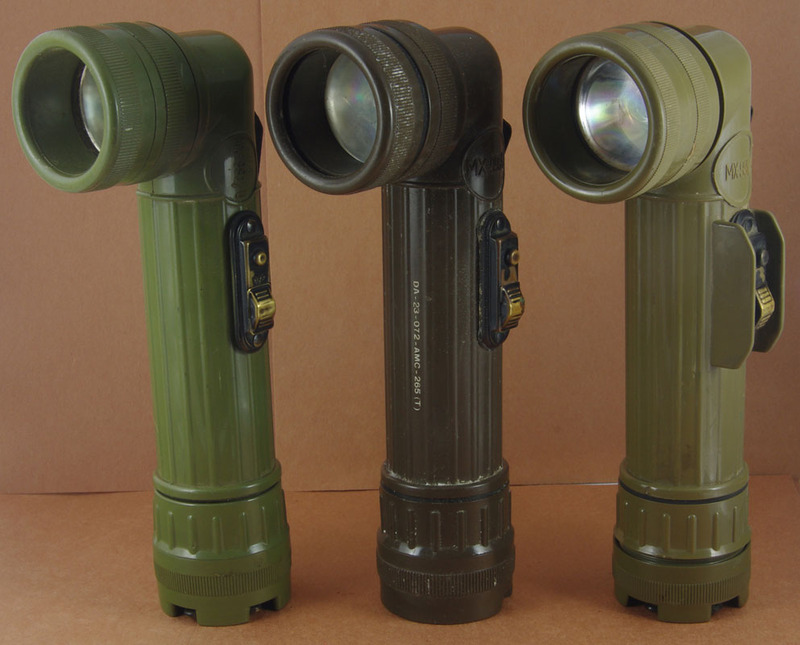 These have the same lamp keeper that the MX-991\U based flashlights have. 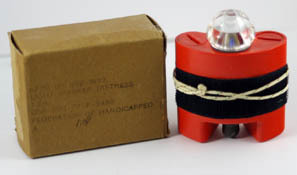 Used for emergency lighting aboard ship. Galvanized Electric Headlamp, Manufactured 1965, Made by G.T. 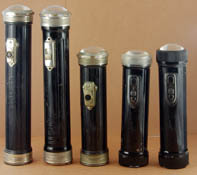 Price Products. 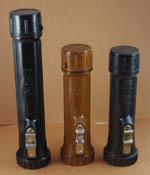 Pivot Head flashlight made by JustRite Manufacturing. 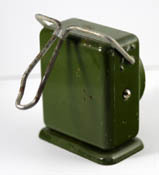 note slot on belt clip for hanging lamp on a nail. 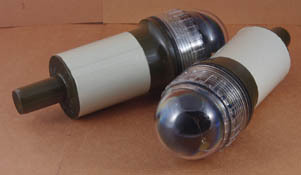 These came with a fiberglass pole to mount the flashlight on. 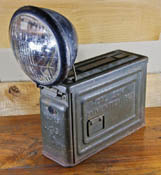 The light is a directional (you can see the shield in the photo) strobe. 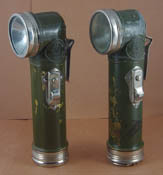 These are used to illuminate the aiming stakes to allow aiming the mortar at night. 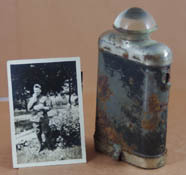 The brass lamp (laying down) is probably WW2 vintage. 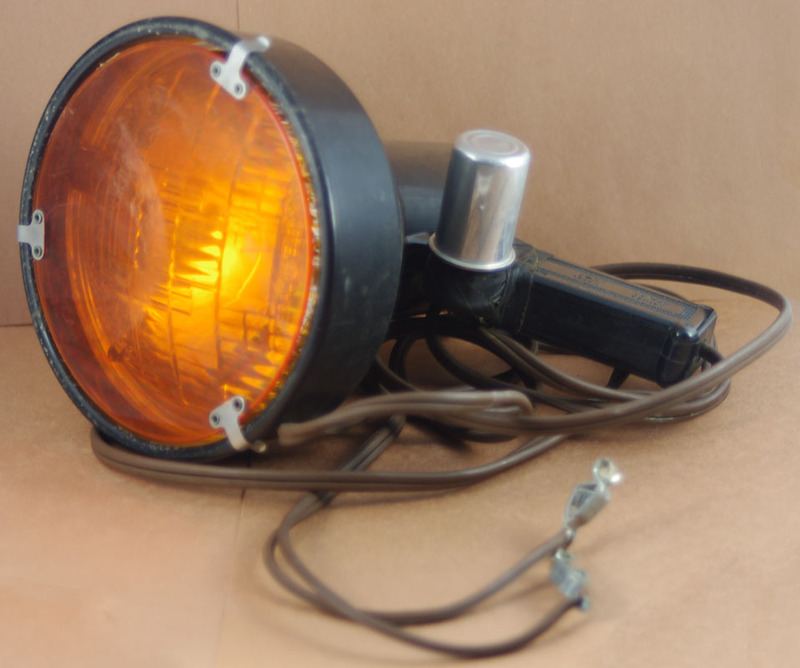 The lamp standing up (missing angled light shroud) is plastic & probably 1980's vintage. Brightstar model 451 flashlight with bore/inspection lamp. Additional Info from Fred Newcomb: It was issued to Army Aircraft Mechanics as an inspection light. 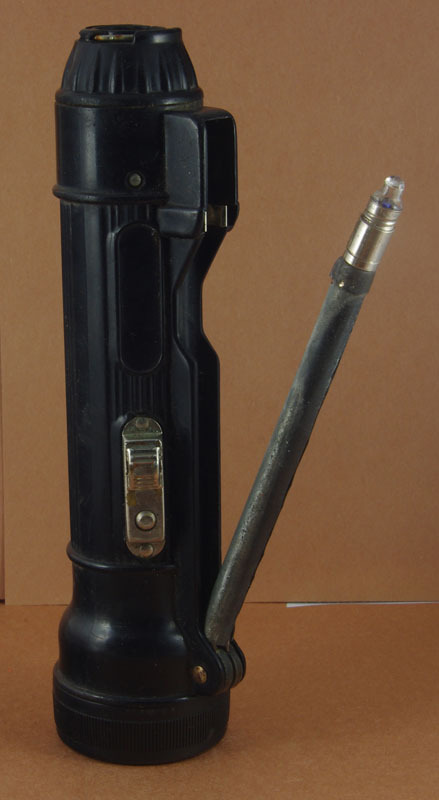 As far as I can remember, it came in the A-90 AVUM tool set (aviation unit tool room). 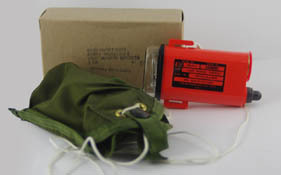 The Marker case could be laced over a harness strap, or sometimes seen sewn to a canteen cover or Load Bearing Vest. 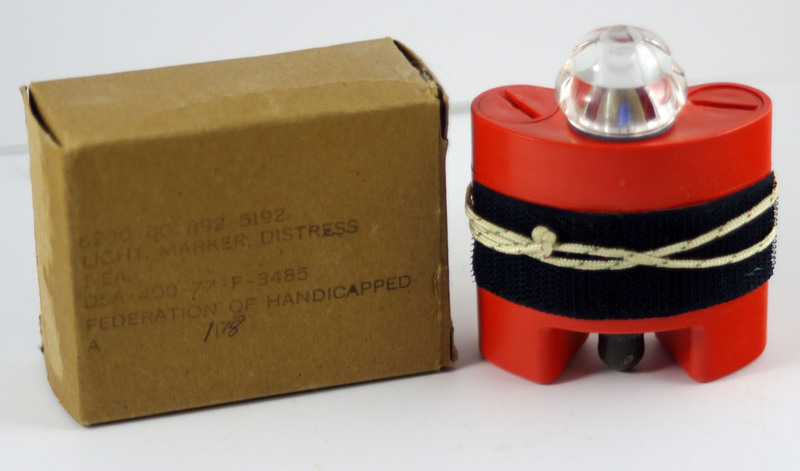 This Distress Marker was powered using two AA batteries. It has velcro on the front, a snap clip on the back, and a lanyard for securing the marker. 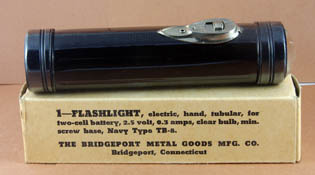 Flashlight, NSN 6230-0. 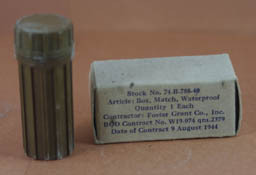 Contract date 1991. Manufactured by Overseas Contractors Supplies (OCS). 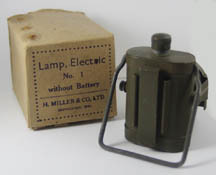 Also known as a mini-lantern. 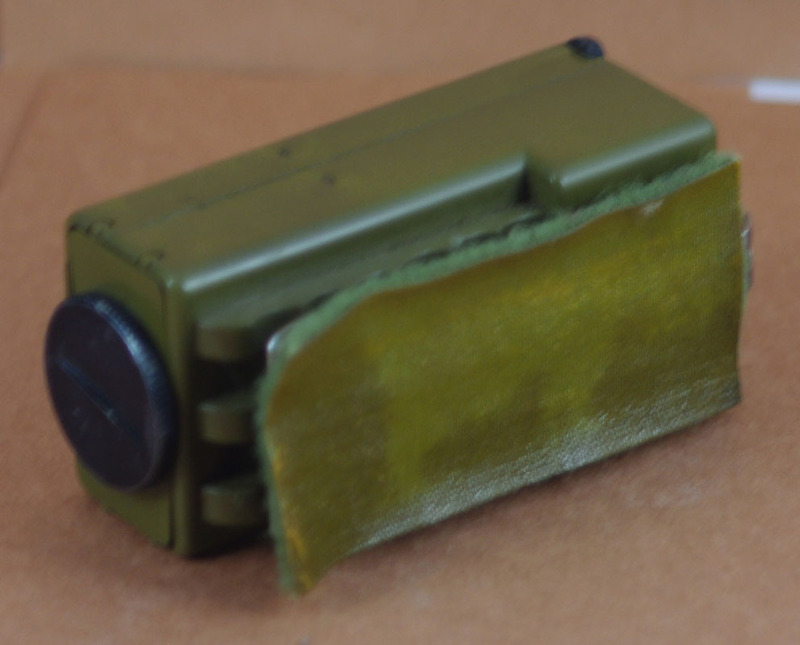 Metal clip & velcro on the back for attachment. 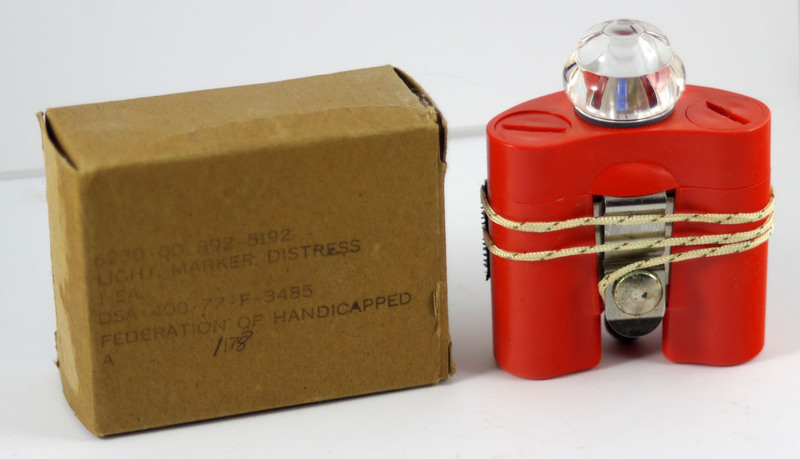 The red lens slides up/down. 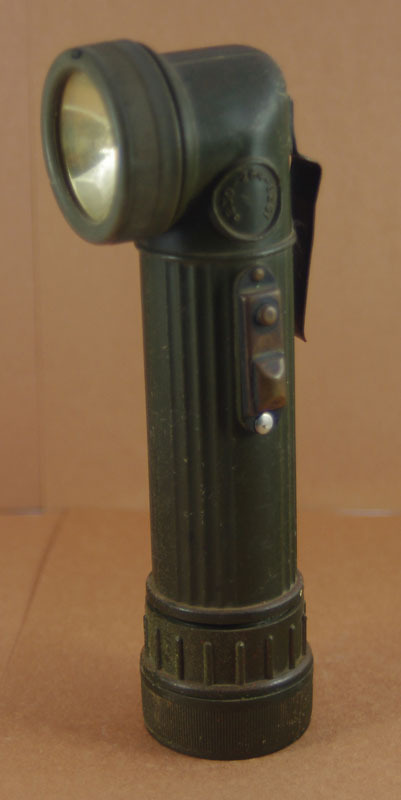 I was a C-130 Navigator and was issued one of these flashlights in 1985 or so. 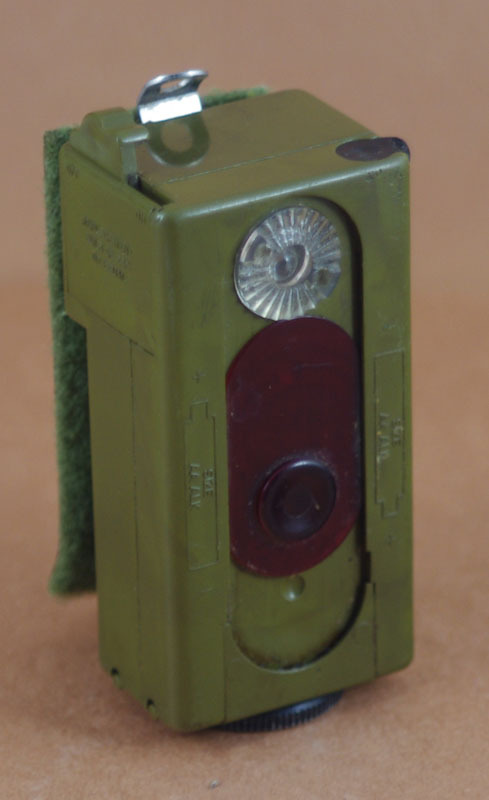 The idea was it could velcro attach where your Military Airlift Command patch or name/rating patch was on your chest, or you could use the clip. 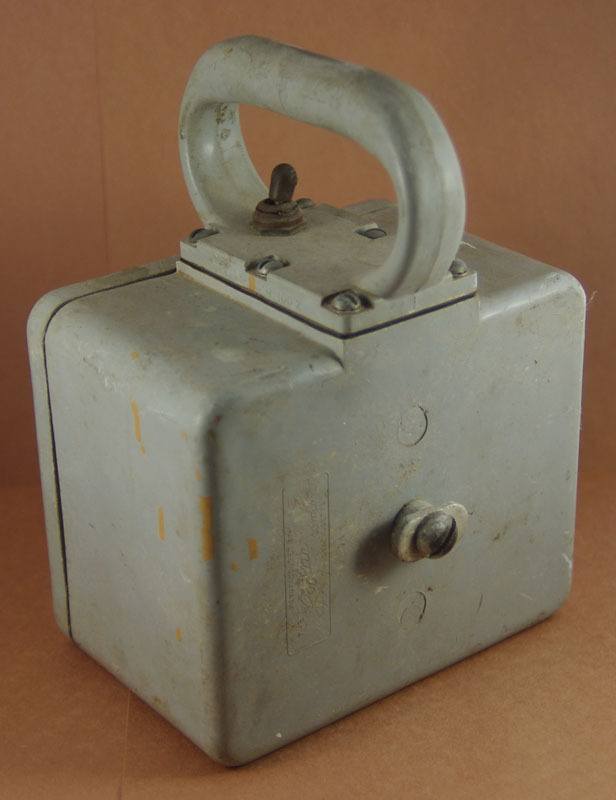 I didn't use it much -- the battery compartment cover broke pretty soon after I got it -- I may have kept it to try to fix it, but I'm thinking I ran across it a few years ago and threw it out. 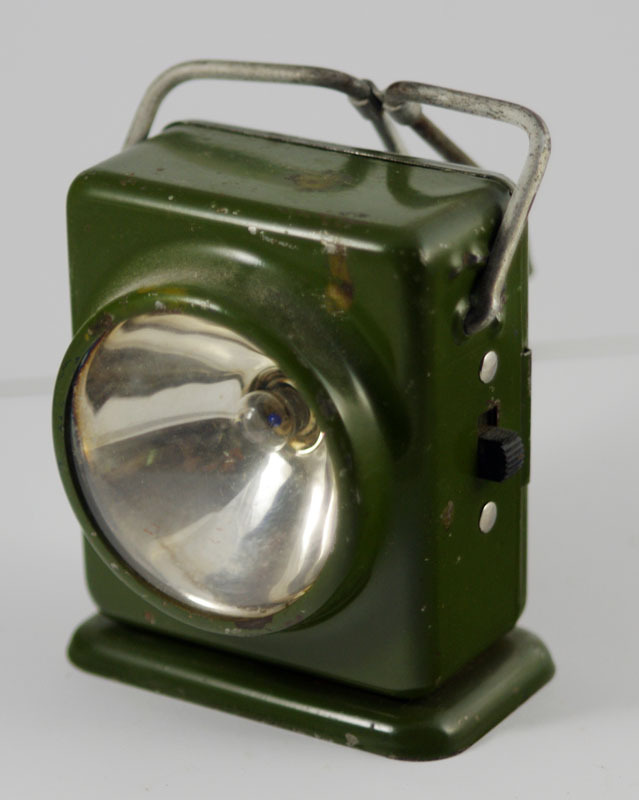 Having a flashlight that had a red lens cap for low level night flying was invaluable as a nav always had to look at his chart and flight plan, but it was a constant battle trying to find one that worked well. Your hands were full carrying the chart, stop watch, etc while trying to hold on as you moved about the flight deck trying to keep your balance as you looked out the windows and monitored the pilots to make sure they were at the correct airspeed, on track and on heading. 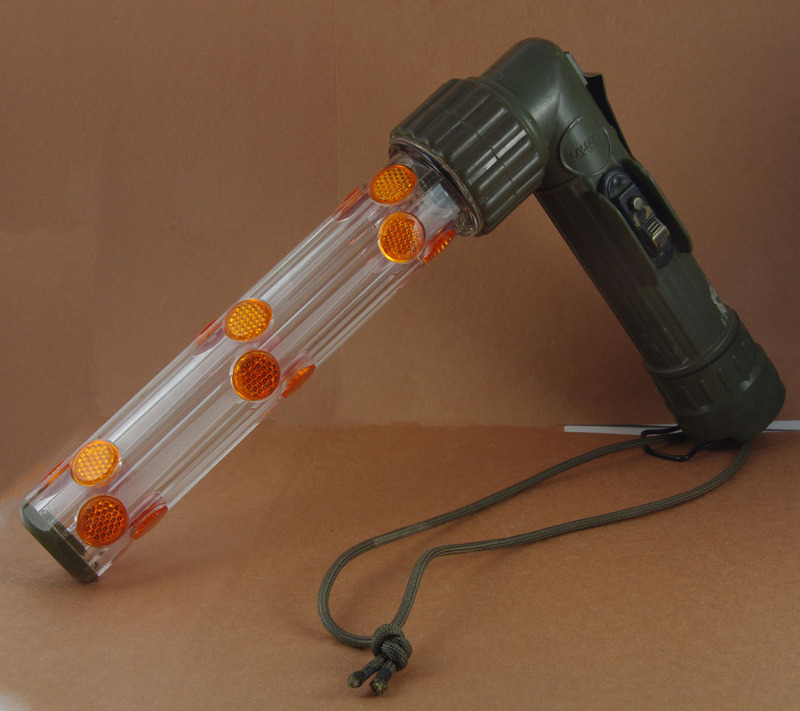 This flashlight was an attempt to fill that need. 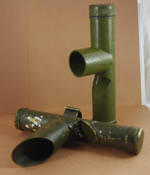 Most navs ended up rigging up something that suited them. I had a small, metal tube flashlight with a red cover that I tied some 550 cord to and just kept it looped around my neck. 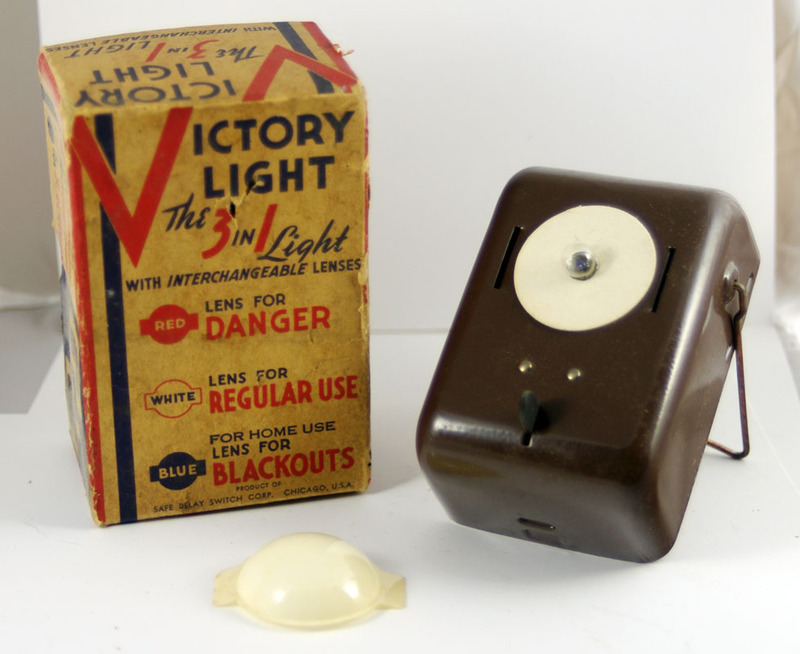 It wasn't totally satisfactory, but I at least had a flashlight handy when needed. ARC light issued to helicopter crewchiefs and pilots. 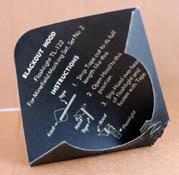 We hung them on the visor cover of the SPH-4 helmet, the survival vest or you could put the opposite side Velcro on the visor cover and just “Velcro It” on. 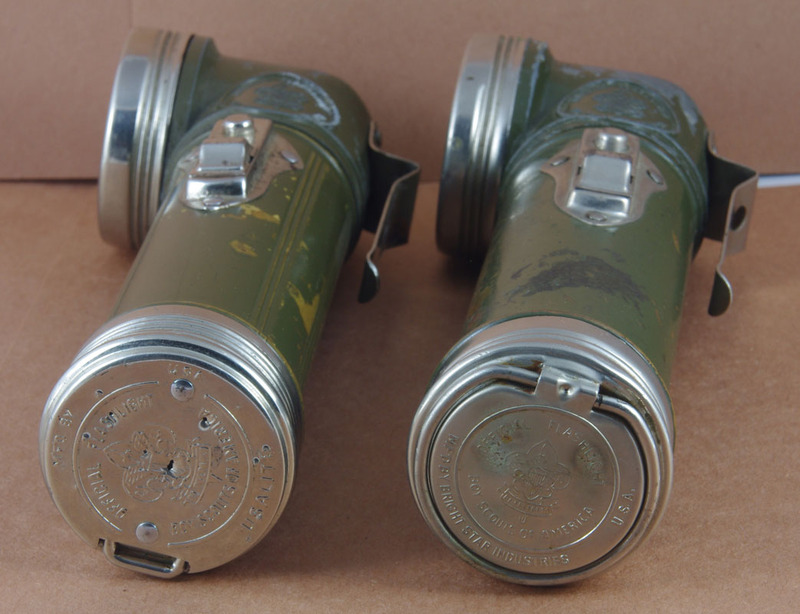 The red lens was for flying under Night Vision Goggles (NVGs). 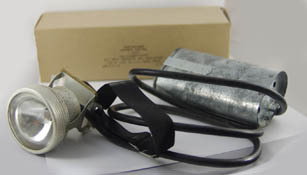 Also, thanks to Eric Gustafsson for directing me to the NSN/contract info listed above. This is a Infrared Strobe that attaches to the top of a 9 volt battery. These are used for IFF (Identification, Friend or Foe). The Infrared Strobe is not visable to the naked eye, but looks like a flashing strobe when viewed through night vision goggles. 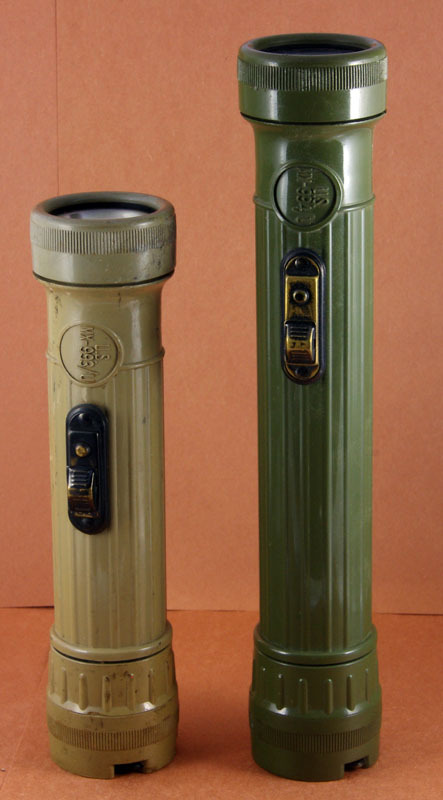 While not a military flashlight, I've included the BSA flashlight to show how similar it is to a TL-122A flashlight.